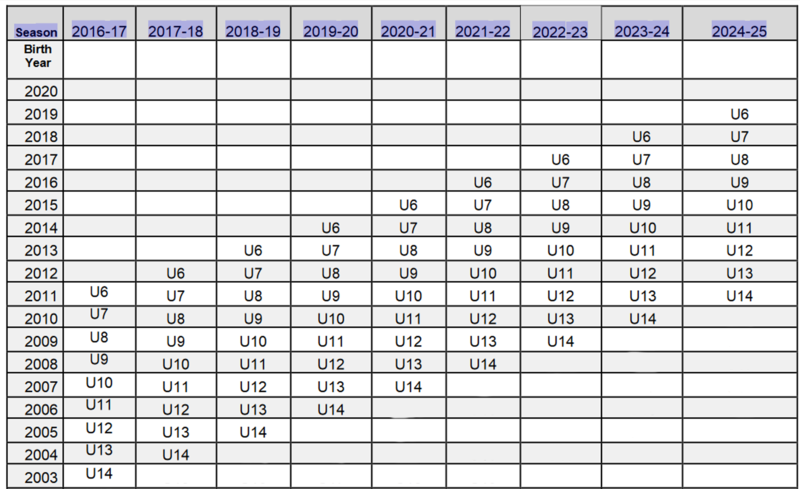 Below is the Age Matrix for the CJSA. Age groups are made up of players born in the same birth year. Soccer Seasons are Fall of one year + Spring of the next. Players move up in age groups each Fall at the start of the new Soccer Season. To use: Find your players birth year in the left hand column, and follow that row across to the correct season.